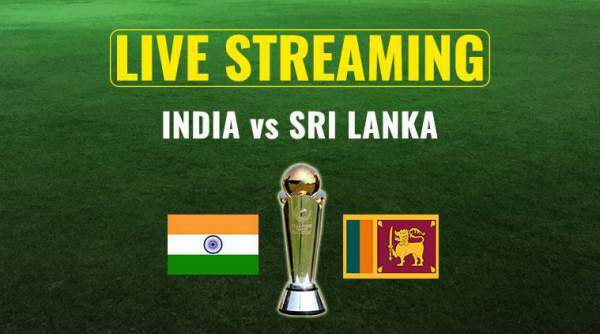 India vs Sri Lanka Live Streaming: It’s time for IND vs SL 2nd T20. Live cricket match watch online today with telecast on various tv channels like Star Sports 1/3, Sony Six. You can also stream it live on online portals like StarSports.com, Sony LIV, Ten Sports, crictime, hotstar, smartcric, dd national, ptv sports, etc. India national cricket team thrashed SriLanka by 93 runs to lead with 1-0 in the three-match series. In this tournament, so far, the Men in Blue registered victories in both Test and ODI series by 1-0 and 2-1 respectively. Both the series had three games each. Today, they will play in the second twenty20 match of the series. If Indian cricket team manages to win today, then they will this series too and will whitewash the tournament itself. It will boost their confidence further. SriLankans have given a tough fight at times, but failed to dominate completely. It has cost them matches and eventually series. Today’s match at Indore (Holkar Stadium) will start at the same time, i.e., 7 pm IST. The broadcast will be live on Star Sports 1 and Star Sports 3 and their respective HD channels. It looks like the woes for the visitors are not going to end soon. They are going through a transition phase and require some really good reliable performers. As of now, they are facing lack of contest and one-sided results. It has also raised questions/logic to Indian team for playing such a week side time and again. After this series, India will leave for South Africa for a much anticipated tournament next month. It will be a very interesting competition to watch out for, in the South African conditions. The absence of Indian regular captain Virat and Shikhar, and a transformed Bhuvneshwar hasn’t done any big damage to the team. The men in blue are still thrashing their opponents who are playing with seniors like Angelo Mathews. Their seniors are also facing a hard time facing Indian batsmen and bowlers. Indian Premier League (IPL) has played a significant role in preparing a robust domestic structure and good bench strength for India. Bowlers likes of Yuzvendra and Kuldeep have shown a great partnership in taking wickets after their international debuts.